In the aftermath of their recent WC defeat, there have been common phrases and words uttered about where Australian cricket is at. The most significant one is the phrase that the Australian side is ‘in transition’. This perspective and its connotations are worthy of further examination as they help shed light on why Australian cricket is in the state it’s in. 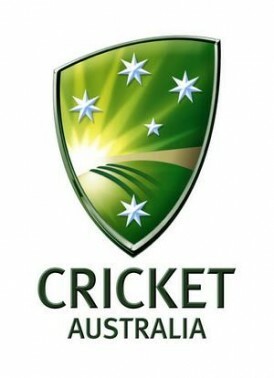 This phrase basically implies that after so many great Australian players retired in the 2006-08 period, it would be a challenging period where faith would have to be placed in raw, younger talent and patience would have to be shown before Australia could hope to have another great era like the 1995-2007 period. In theory this means that after 2-3 years of being in ‘transition’, Australia should be fielding an improving side comprised largely of young, developing players that are starting to gain self-belief required to be top-class cricketers, backed up by a handful of older players providing stability and leadership. 2007 WC final side – Gilchrist (35), Hayden (35), Ponting (32), Symonds (31), Watson (25), Clarke (26), M Hussey (31), Hogg (36), Bracken (29), Tait (24), McGrath (37). The combined age of both sides is exactly the same, which is damning on a side supposedly in transition for several years. And while the 2007 side had more one-day international games experience than the 2011 version, the 2011 version had a more even spread of experience, with 8 players having played more than 75 games, compared with 6 from the 2007 version. And this trend has been reflected in Australia’s recent Test lineups. For the opening Test of the Ashes this summer, 5 of Australia’s top 7 were 30 years or older (with several in their mid-30s). The biggest disappointment about the Australian side in the last 2-3 years hasn’t been their decline in performance (which was inevitable to an extent) but their unwillingness to take the plunge on a new generation of players. On almost every occasion in that period when confronted with a choice between a young and old player, they have gone with the supposedly safer option of the older, more experienced player. One only needs to compare how Phil Hughes and Marcus North have been treated in Tests. After Hughes burst on the scene in the Sheffield Shield while still a teenager with a wealth of runs, the selectors made the bold move of picking him for the difficult challenge of a tour of South Africa when still only 20 years old in early 2009. After a rocky start (a duck on debut) he was a stunning success with twin centuries in just his second Test. It seemed for sure that he was a long-term prospect at international level by which the side could be built around. Yet extraordinarily after just two Tests in the Ashes series that followed he was discarded from the site. Certainly his form had been modest and it appeared that his technique had struggled against the English pace attack, but to dump him after just three innings seemed a very negative and panicky move to make on a significant young talent. It seemed to destabilise his self-belief as his form has been no better than patchy since then. And yet, after a very poor 2010/11 domestic season, he was brought back into the Test side during the home Ashes series! Not surprisingly, he again struggled and his career is now at the crossroads. All up, it seems a classic case of player mismanagement. Then there’s left-handed batsman Marcus North. After being a moderately successful performer at domestic level for a decade with Western Australia, the then 29 year-old was picked for the South Africa tour, largely on the basis of the option he provided with his part-time off-spinners. Initially, he performed very well, scoring two centuries in his first 3 Tests. But it soon became apparent there were significant issues with North’s technique that were getting regularly exposed at international level, like an excessively high backlift and a weakness against spin. As a result, while he was able to score centuries fairly regularly the rate of single-figure scores he produced was alarmingly high. Remarkably only once in his 21 Test career did he reach double-figures in both innings of a Test. Despite this and the fact that his off-spin was almost a non-factor at Test level, he was persisted with for an excessively lengthy period right up until the 2010/11 Ashes where his failures surprised no one and he was finally omitted. This illustrates the mindset of the selectors and leadership of Australian cricket over the past few years – a lack of faith in young talent that should be the cornerstone of the rebuilding of the side instead of long-term moderate performers because of their experience and their ‘bits and pieces’ capabilities. The contradiction in Australia’s mindset was illustrated in Ricky Ponting’s press conference announcing his resignation as captain recently. On one hand he stated how much he “enjoyed the transitional phase”, implying he’d been overseeing the transition from the side of older champions in the first half of his captaincy reign to a young, inexperienced side in the latter stages. “I think it’s important for Australian cricket now that those guys are around,” he said. “What I think you don’t and you can’t afford to ever have in a team is a mass exodus of all those sorts of players at once. “I think we’ve seen that in the last couple of years when we had all the greats (Glenn McGrath, Shane Warne, Justin Langer) move at one time, it left us very bare and it’s been hard for us to rebuild and get it back to where we want to as a result of that. The most obvious response to these comments is: if they’re so essential to the success of the side why has the Australian Test side declined to No. 5 in the rankings and is in its weakest state since the 1980s? As well, continuing to have three 35+ year-old batsmen in the side means – even if they do provide some success in the short-term – that they’re more likely to depart together in a short space of time, causing more upheaval and instability. By these comments, Ponting seems to have reverted to the mindset that dominated English cricket in the 1990s. Despite being part of mediocre sides, there was general reluctance and fear in investing in young talent. A classic example was England turning to Graham Gooch and Mike Gatting for the 1994/95 Ashes tour when they were both well past their best to handle the rigours of such a challenge. Australia is in a position they haven’t been for several decades – not only are they an ordinary side in decline but one that doesn’t even have much promising young talent to keep fans hopeful. It’s the worst possible situation to be in. It’s a major challenge for new captain Michael Clarke to confront, but it’s definitely in his interests if he changes the mindset of the latter stages of the Ponting era and sees that keeping faith in a new generation of young players is the only way Australian cricket is going to regenerate themselves. Otherwise, they may be in a state of permanent ‘transition’.